Self promotion first (it’s all ‘me, me, me’ springs to mind – the glorious Stephen Fry in Sherlock Holmes..) I am tweeting extracts from Scott’s Last Expedition, on a day by day basis, @ScottsDiaries, and also, doubly binding my long-suffering followers on @HMStack with further extracts and my musings. In reading Scott’s diaries, I am struck again and again by the great sensitivity, eloquence and joy of his writing. It is divine and I have lost my heart entirely to this man who lived and died long before my life began, yet I feel that his presence is extraordinarily strong, as I read the words he crafted so skilfully in his daily writings. I am inadequate to describe my utter admiration and respect for Scott’s self-belief, courage, vision and his fortitude. I suspect I would have been rather in awe of his presence, and not a tiny bit infatuated by the great man and his incredible self-belief and spirit of adventure. It saddens me greatly that I am reading close to his final words. It is a diary I would rather wish did not have to end. ‘Terra Incognita’or Unknown Land, strikes me as a remarkable phrase. It is a term used by cartographers to denote lands and regions that have not been mapped. I imagine now, there is very little of our land that has not been charted, but at the turn of the last century, much was yet to be discovered. The site www.coolantartica.com states that ‘adventurous men were drawn to this arena like a magnet’ and so, the curtain was opened on the ‘Heroic Age’. 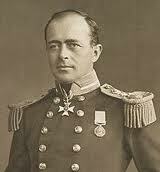 I watched the tv drama Shackleton recently, feeling rather guilty the while giving my attentions not to Scott. I was enthralled. Kenneth Branagh is remarkable as Ernest Shackleton and leads me to that tangled never to be answered question, is it the character I admire and adore, or the actor playing the character..? Well, there are twitterings aplenty about Branagh a ce moment. I recall how this great man had the theatrical world at his feet, almost two decades ago, so enduring has been his brilliance. But here I am distracted. Do forgive. 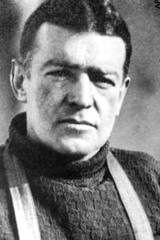 or find out more about Shackleton’s Trans-Antarctic expedition. There is still a great fascination with what motivated Scott, Shackleton and a small handful of other men, to explore lands unknown, to endure the most demanding, challenging, threatening of landscapes, for great periods at a time. I am struck that whilst enduring the most horrendous conditions, Scott prepared meticulously for his death, as he had prepared so earnestly for his exploration, so many years before, writing letters to so many of his family and of his crew men’s family. Who amongst us takes such risks, explores so far and wide that we travel where none has travelled before? Who amongst us pushes outwards, onwards to the limits of possibility? It is a safe life most of us lead, muddied with a little discontent, a smattering of envy, moments of contentment, the comfort of family and friends. We are shielded from so much and know little of real danger. It seems to me, the limits of possibility no longer reside in the external, those lands beyond our imagination, charted or uncharted. The limits of possibility, in this age when so much is explored and much more exploited, reside within us all. Possibility rests in our hearts and in our minds. Do follow a link and find out more about Scott or Shackleton on Cool Antartica, or the University of Cambridge’s Scott Polar Research Institute. So much good work is continuously being done, and much that I have been ignorant of, too long the while. May good fortune accompany you on your travels, where’er they may be.